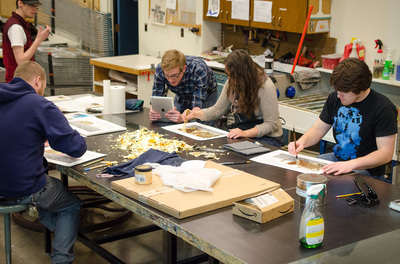 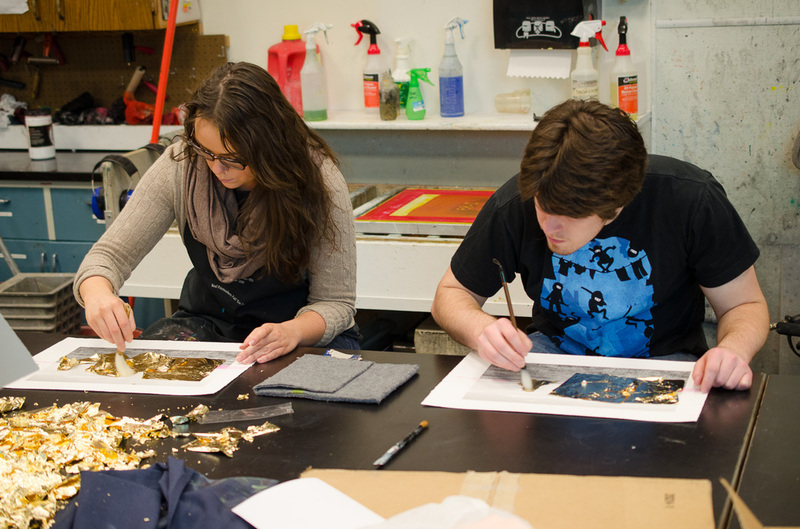 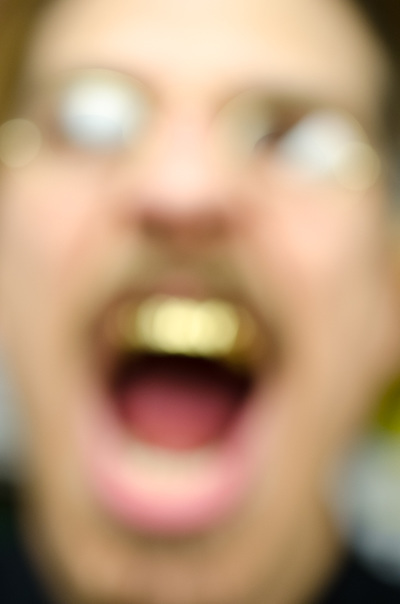 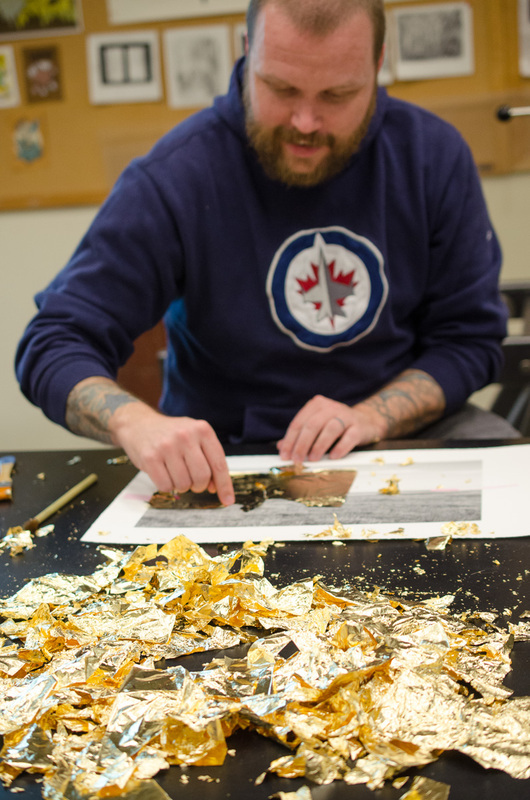 North Dakota native and photographer Micheal Conlan visited Minot State and Flat Tail Press in the spring of 2014. 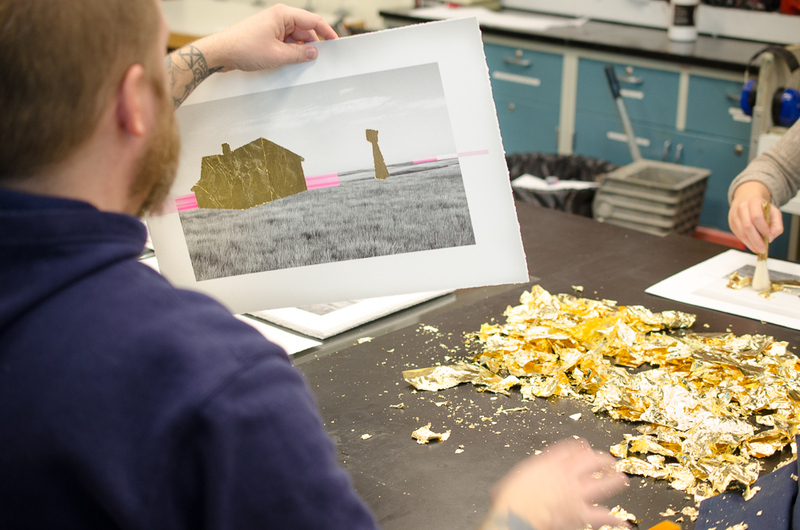 Conlan’s work explores the idea of place and the American landscape, particularly ideas idealization and environmentalism. 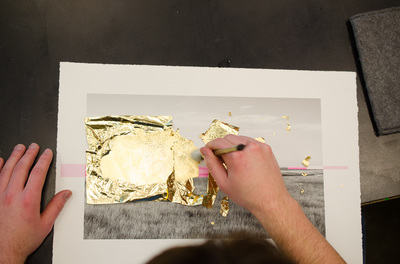 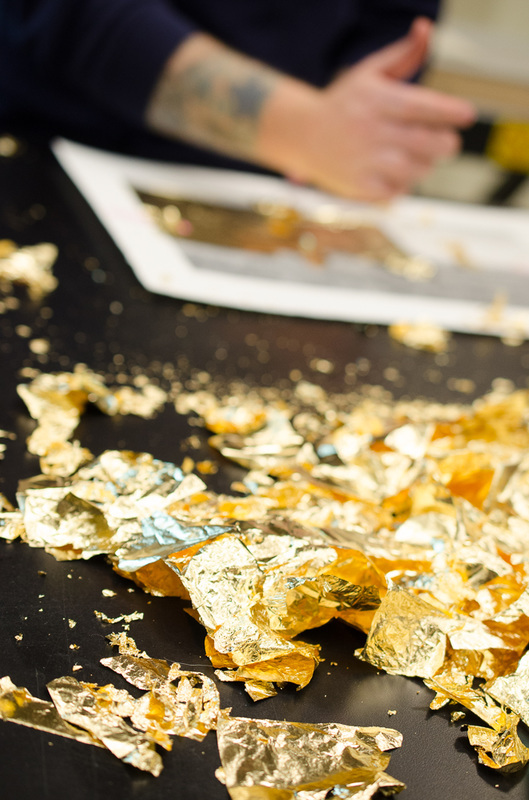 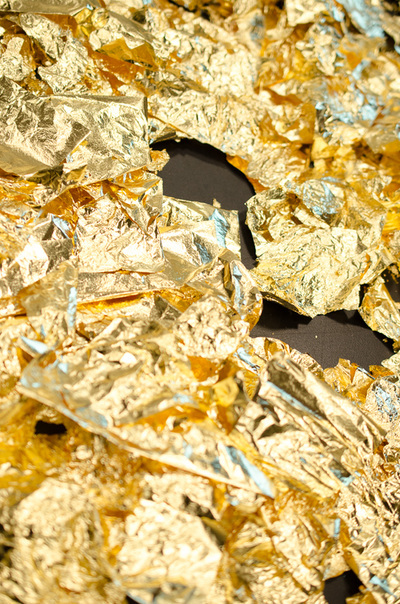 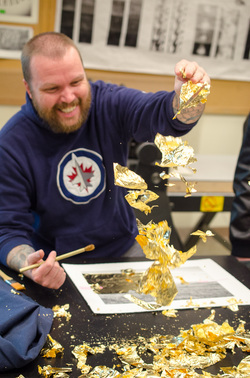 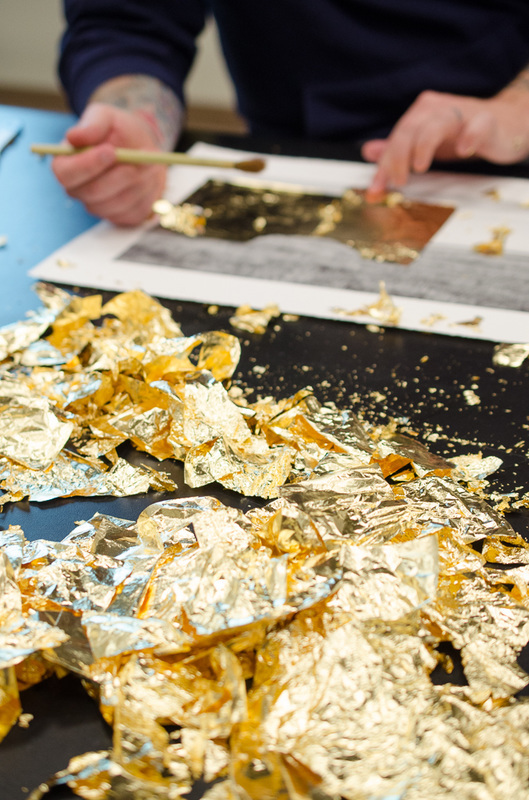 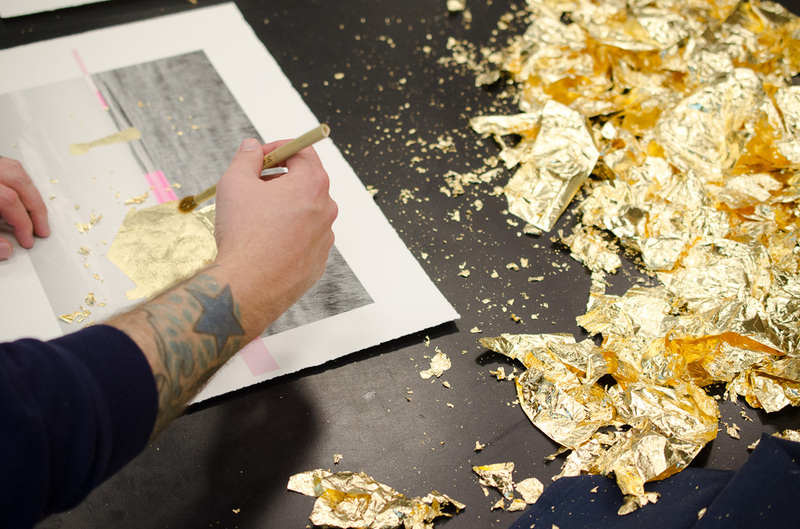 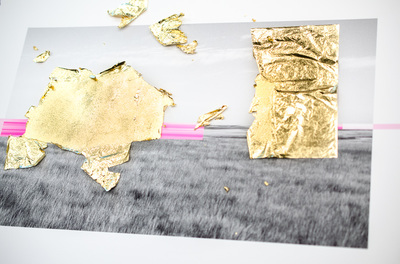 During Michal’s visit, we completed 2 editions: Pink Blurand Gold on Salt.Pink Bluruses a digitally printed photograph from the Wiliston, ND area and covers the human-made structures with gold-leaf to suggest the idealization of the landscape. Gold on Saltis made through the historic salt print photographic process and uses gold leaf again to hint at the same idealization of place.